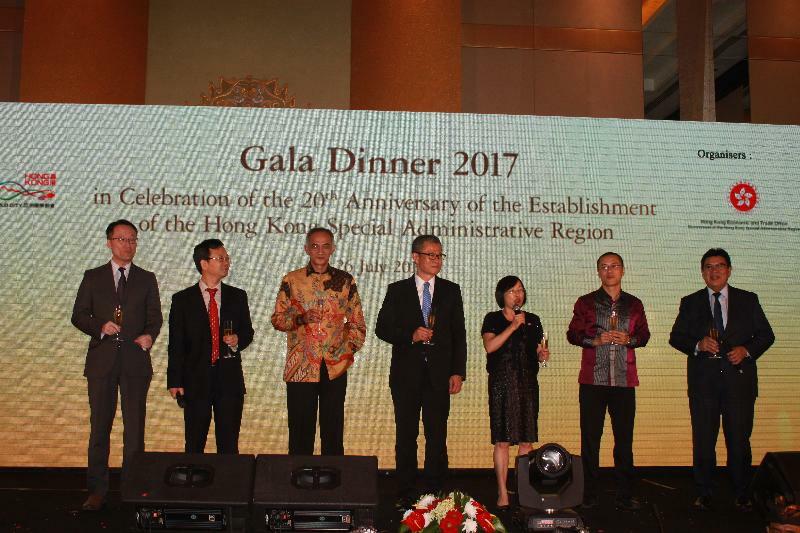 The Financial Secretary, Mr Paul Chan, officiated at the Hong Kong Special Administrative Region (HKSAR) 20th Anniversary Gala Dinner organised by the Hong Kong Economic and Trade Office in Jakarta (Jakarta ETO) and the Hong Kong Trade Development Council (HKTDC) today (July 26, Jakarta time) in Jakarta, Indonesia. 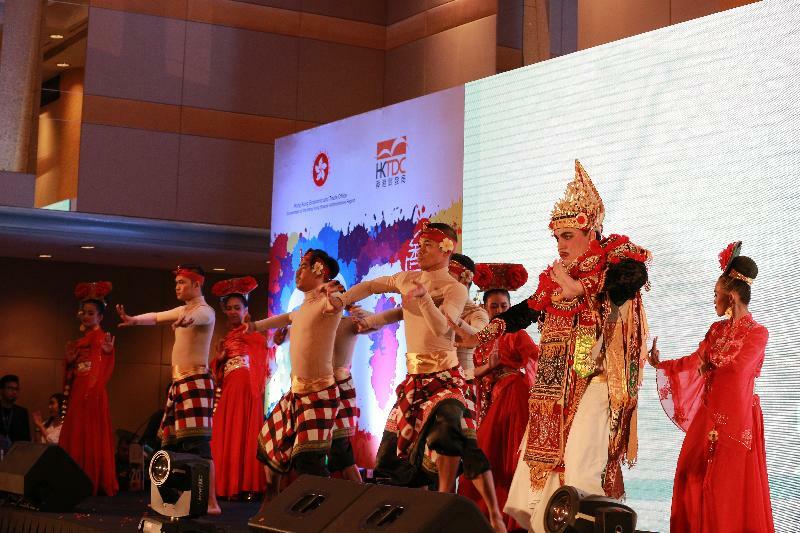 The event also signified the official opening of the Jakarta ETO. 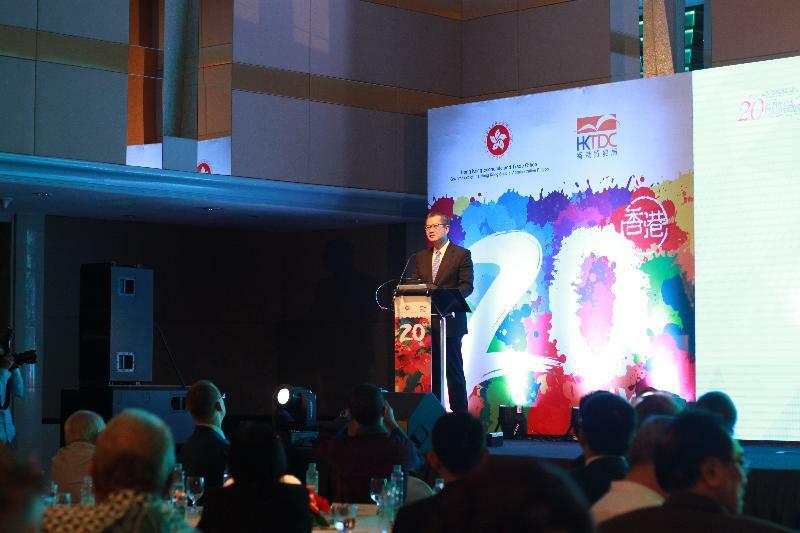 Speaking at the gala dinner, Mr Chan said that the celebration theme of HKSAR's 20th anniversary – "Together • Progress • Opportunity" – is a remarkably apt description of relations between Hong Kong and the Association of Southeast Asian Nations (ASEAN) today. The ties between ASEAN and Hong Kong have been strong and will continue to deepen. Taking trade as an example, the trade value between Hong Kong and ASEAN has grown by a cumulative 72 per cent over the past 10 years, making ASEAN the second largest trading partner of Hong Kong. The free trade agreement between Hong Kong and ASEAN, which is expected to be signed before the end of this year, will further facilitate the flow of goods, services and investment between Hong Kong and ASEAN. He added that the establishment of the Jakarta ETO will certainly take Hong Kong's co-operation with ASEAN countries to another level. Hong Kong will work hand-in-hand with ASEAN to seize the opportunities ahead. Other officiating guests at the gala dinner included Mr Oke Nurwan who was representing the Indonesian Minister of Trade; Charge d'Affaires and Minister Counselor of the Chinese Embassy in Indonesia, Mr Sun Weide; the former Indonesian Minister of Trade, Ms Mari Elka Pangestu; and the Chairman of the Indonesian Agency for Creative Economy, Mr Triawan Munaf. In the morning, Mr Chan gave a keynote speech at the business seminar entitled "Belt and Road Initiative: Connecting China, Hong Kong, and Indonesia" organised by the HKTDC and Jakarta ETO, highlighting the promising future for Hong Kong and Indonesia under the Belt and Road Initiative. "Given its fast growing economy, its strategic location in Southeast Asia, as well as its vast human and natural resources, Indonesia is a key player in the Belt and Road Initiative," Mr Chan said. 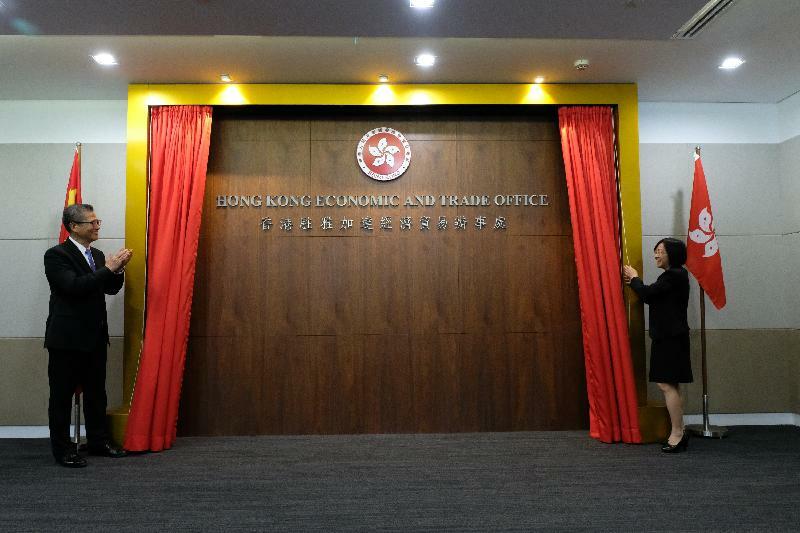 "As Asia's international financial capital, Hong Kong has the experience, expertise, international connections to serve as the fundraising, financial management and professional services hub for Belt and Road projects." He said that there are clear synergy and advantages for Hong Kong and Indonesia to work together to grasp the unprecedented opportunities that are emerging along the Belt and Road corridors. Following the seminar, he also had separate meetings with the Chairman of the Indonesia Investment Coordinating Board, Mr Thomas Trikasih Lembong, and the Deputy Governor of Bank Indonesia, Mr Perry Warjiyo, to exchange views on further enhancing co-operation between the two places. Mr Chan then visited the office of the Jakarta ETO and officiated at the opening ceremony. Mr Chan said he was happy to see that the Jakarta ETO has moved into its long-term accommodation and is up and running. During the ceremony, Mr Chan also met with the Hong Kong community in Indonesia and updated them on the latest developments in Hong Kong. Mr Chan will meet with leaders in the banking sector in Indonesia before returning to Hong Kong tomorrow (July 27, Jakarta time).